Search Results for "greece street"
Sept. 2017 Athens Greece. Some street musicians playng traditional instruments on the streets of Athens, Greece. About: Athens, Greece, music, traditions, party, street musicians, traditional music. Xanthi, Greece Street vendors selling products at large bazaar market. Open air street vendors selling food or clothes at stalls every Saturday at a weekly bazaar. Corfu town, Corfu / GREECE May 31 2018: People walking through the old town part of Corfu Town (Greece). Small streets and traditional houses with bars and stores all along. Elevated view of street vendors selling products at large bazaar flea market in Xanthi, Greece. Open air street vendors selling food or clothes at stalls every Saturday at a weekly bazaar. 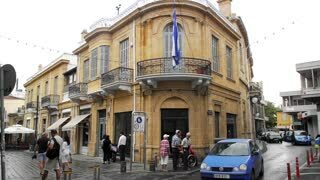 Busy street with small shops in Athene. About: Athens, Greece, music, traditions, party, street musicians, traditional music. Thessaloniki, Greece local Greek street vendor at Aristotelous square. Evening street view of crowd around illuminated trailer selling cotton candy, chestnuts or popcorn. ATHENS, GREECE -JUL 20, 2018: During the summer, the capital of Greece is full of street musicians and buskers around the streets. ATHENS, GREECE - May 04; Busy traffic on Stadiou street near Syntagma square with pedestrians waiting to cross the road in Athens, Greece - May 04, 2015; Pedestrians waiting for green light and cars to stop so they can cross the road. Corfu town, Corfu / GREECE May 31 2018: Group of People walking through the old town part of Corfu Town (Greece) on Sightseeing tour. Small streets and traditional houses with bars and stores all along. Corfu town, Corfu / GREECE June 01 2018: Cityscape of Corfu Town (Greece) with traditional houses and streets. People walking along, passing by restaurants and stores. Corfu town, Corfu / GREECE June 01 2018: Cityscape of Corfu Town (Greece) with traditional houses and streets. Driving with a city train around, passing by restaurants and stores. Pyrgos town at Tinos island in Greece, a small street with chairs and a table.